Welcome to Via Vitae Travels!!! We specialize in customized wine, culinary and cultural vacations highlighting specific regions in Italy. Each package allows you to experience the region as a local instead of as a tourist. See, do and taste things most tourists never have the opportunity to experience. All packages are crafted for intimate groups, never more than 12, to enhance the overall experience. We invite you to take this journey of life with us. Stand beside the masters in their kitchens, castles, and wineries and learn the secrets of this hidden Italian gem, Piemonte. Discover flavors of the Piemonte’s history, wines, and world-class cuisine. From wine on the hills overlooking Torino to historical estates in Barolo to fresh-handmade agnolotti, prepare to indulge in the best the region has to offer. Walk the streets of the city of Verona and become part of its history. From Roman times when the “Arena di Verona” served as the center of all activity to times of myth and legend made famous by Shakespeare’s “Romeo and Juliet”; Verona is a magical place! From the birthplace of Amarone together we will traverse north into the Alto-Adige region and you will experience its unique wines, foods, history, and lifestyle. Tasting wine in the vineyards on the hills of the Dolomites, historical estates in Veneto, fresh-handmade tortellini… prepare to indulge in the best the two regions have to offer. The region in the heel of Italy’s “boot” where some of the best traditional foods in Italy come from! The south boasts beautiful beaches, rich farmland, centuries-old churches and ancient pre-roman ruins. It is also home to some of the most succulent recipes Italy’s cuisine is known for. With a rich history and amazing food come wonderful wines. We will taste wines brought over from the Greeks before Rome was even an idea. Finally, no one can leave Puglia without making and tasting its olive oil, which people consider the best expression of true olive oil in the world! I highly recommend Anthony Zanotti with Via Vitae Travels as a fantastic tour guide for Italy – especially if you are interested in wine, food, and history. Anthony has a passion for Italian culture, wine, and food that would be hard to match. He takes great care in finding “off the beaten path” activities that are sure to impress – including fantastic wineries that you can’t get into without a connection, and historical sites that you won’t find on other tours. 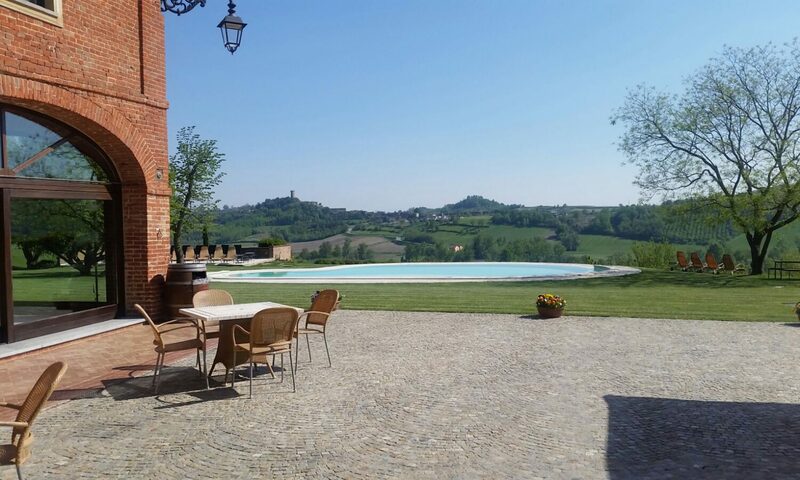 What makes these tours really special is the “Italian life” experience that you get with them – the personal connections and the hospitality of the wineries and restaurants that Anthony works with went above and beyond any expectation I could have had. The way to see Italy truly is through the people there, and going on a tour through Via Vitae is the best way I can think of to get that experience. The value for the price here is outstanding. Thanks, Anthony, for the great memories! Via Vitae Travels gave us the trip of a lifetime! From the time we got off the plane, we were treated to fabulous accommodations, delicious meals, and adventures we could have never set up on our own. We had visited Italy last year with arrangements made by another well-known travel company. While that trip was nice it was the same experiences that most travel business offer. Nothing out of the ordinary or unique was provided. For the same price Via Vitae Travels provided a unique experience every day! My husband and I loved being part of a small group who enjoyed private tours of prestigious wineries, cooking classes and intimate meals preselected and prepared just for our group. The best part was being driven to each destination because we could sit back and enjoy the spectacular scenery! Thank you Via Vitae travels fo ran oustanding trip! We are looking forward to the next one!!! I have had the pleasure of participating in two trips to Italy with Via Vitae Travels. the planning and execution of both experiences was first class with great attention to details, sensitivity to individual needs, and meticulous planning. Between the two trips, both to different areas of northern Italy, we covered a terrific range of interests, including spectacular scenery, unique and very desirable private winery tours, magnificent authentic regional cuisine, and all with a great backdrop of Italian culture and history. This is not a run of the mill touring experience! I have been a chef for over 30 years and these trips changed my life forever. Whether you are a professional in the food and wine business or not, the trips are so inclusive that there is much to fulfill everyone’s needs. How many people have walked through the woods with a trufalo and his dogs to hunt successfully for white truffles? How can you not appreciate the splendor of enjoying a Michelin caliber five-course meal in a 500-year-old estate after a tour of its winery? The opulence and artistry of the Catholic Church is on display in every city and town, each church unique and exquisite on its own. Because this tour is so personal one gains an interaction with, and understanding of, the wonderful citizens of Italy on a person to person basis. The hospitality of the Italia people is second to none. I can’t wait for the next trip in May!